No matter how old you are, trying to navigate the waters surrounding asset protection, writing a will, or creating a trust can be exceptionally difficult. Even if you have an understanding of the laws and regulations surrounding financial planning, once you begin trying to find a way to plan, you may realize that you have bitten off more than you can chew. Don’t worry, because we are here to help. At Safe Harbor Wills & Trusts in Watertown and Syracuse, our attorney can help you develop a plan that fits yours exact circumstances. Thanks to years of experience in the field, you can reap the benefits of a relationship built on trust, expertise, and knowledge of the field. Contact us today for an appointment or read about three reasons that you should give our law firm a call now. In addition to our personalized services, we also offer workshops around the area where we cover the best ways to take care of your assets. While many lawyers can offer some level of assistance when it comes to writing a will or offering advice about asset protection, the truth is that without years of experience working in the field, a lawyer won’t be able to provide the best service when you need help protecting everything you have worked for. At Safe Harbor Wills & Trusts, our attorney has acquired the experience you need in order to build a plan that will provide you with the best possible protection. 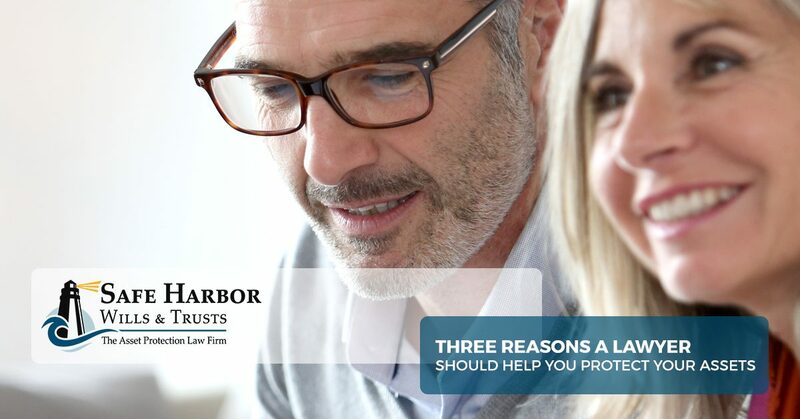 In addition to the expertise gained from years of practice, Safe Harbor Wills & Trusts also has the knowledge that can help put your mind at ease. We have dedicated our practice to helping people find asset protection that meets all of their needs. In order to accomplish this goal, we spend time researching cases and learning about the newest offerings from companies that offer investment plans. We will apply this knowledge whenever you need help creating a trust to protect your home and all of the other things you have worked for. When you choose to work with us, we will do everything we can to aggressively represent your best interests. You can count on us to do the work that is necessary to prevent your assets from being siphoned away by frivolous lawsuits or other attacks. You can trust us to develop a plan that allows you to hold onto and disperse your assets in the ways that you want because that is our job and what we believe in. We are not satisfied until you are happy and confident that there is no better way to keep what you have worked for safe. Contact our office today if you are facing a problem with your asset protection plan, if you are having issues applying for Medicare, or if you are facing an elder law crisis. Our firm is here to provide you with the best advice and care possible. Call our Syracuse or Watertown offices to learn more or set up an appointment.